I love this beer because it is a very modern British IPA. It’s not trying to be a craft IPA from America like so many others these days – and rather than use American or Southern hemisphere hops, Fuller’s stick to using glorious English Goldings hops. This beer packs plenty of flavour – hoppy aromas, citrusy and orange marmalade sweetness and a great bitter finish. It’s a real quality and well engineer IPA – and gives me great pleasure everytime! This is one of my “must try” beers. 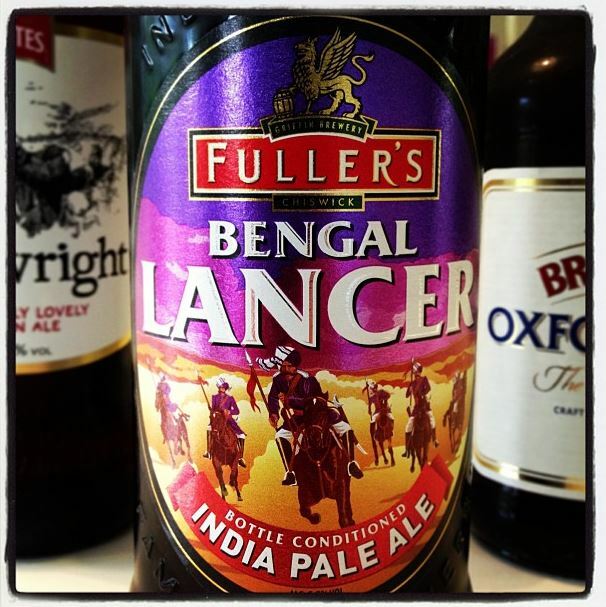 If you’ve not tried Bengal Lancer before, why not visit the Tasting Notes section of our London Pride Facebook page where Top Gear’s James May and our very own John Keeling describe the flavours that you’ll find in a delicious pint. Immortalised in folklore, novels and on the Hollywood screen, the real Bengal Lancers have their origins in the 1700s when the nawab of the state of Awadh, in today’s northern India, raised Bengal’s first regiments of cavalry. By the mid-1860s, these horsemen were under the control of the British Army, which saw them expanded and reorganised into a force of cavalry regiments known collectively as Lancers: so-named for the long and lightweight bamboo lances they carried into battle. Most officers were British or Anglo-Indian; all ranks wore British uniform, often with Indian flourishes and headwear. Bengal Lancers saw action in many campaigns and not just in British India and on the Northwest Frontier. They fought with distinction in the First and Second Afghan Wars, in Egypt, Sudan and Abyssinia – today’s Ethiopia – and as far away as China, where, in 1900, they took part in putting down the Boxer Rebellion and helped lay siege to Peking. By the early 1900s, with cavalry becoming obsolete, their mounted days were numbered and their famous title began to disappear; but their histories and many of their traditions survive in the British and Indian Armies of today.